Join us in two weeks, Sunday, May 20, 2018 for an easy bicycle tour of the American Legion Parkway green areas. The tour will run from 8am-10:30am and start at the Walgreen’s end of the Stop-n-Shop Plaza on American Legion Highway, near Hyde Park Ave. RSVP to Laura Smeaton (shoplaura@nullmac.com) or Lisa Beatman (lisabeatman@nullyahoo.com, 617-306-1283). More details below or download the PDF flyer. 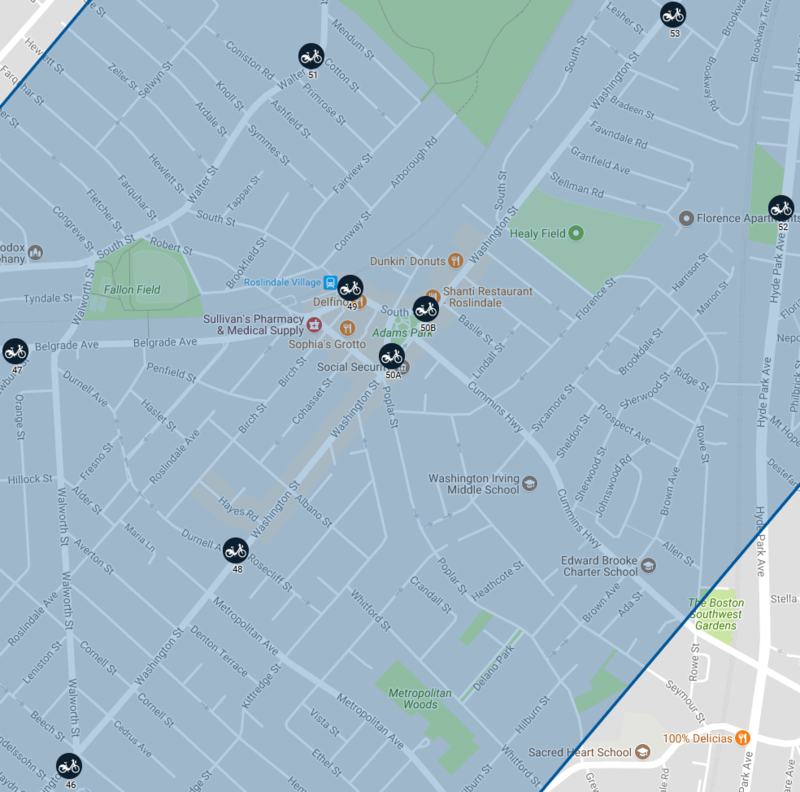 We have long awaited the arrival of the Hubway bike sharing system in Roslindale–and it finally appears to be time! The City has scheduled two community meetings to provide information and solicit feedback on proposed station locations. It is important that our leaders and our community see a turnout of support for expanding access to the system. The first Roslindale meeting will be this Wednesday, September 20, 2017 at 6pm at the BCYF Menino Center (the Archdale Community Center), 125 Brookway Road. The second meeting is Thursday, October 26, 2017 at 6pm at the Roslindale Community Center, 6 Cummins Highway.